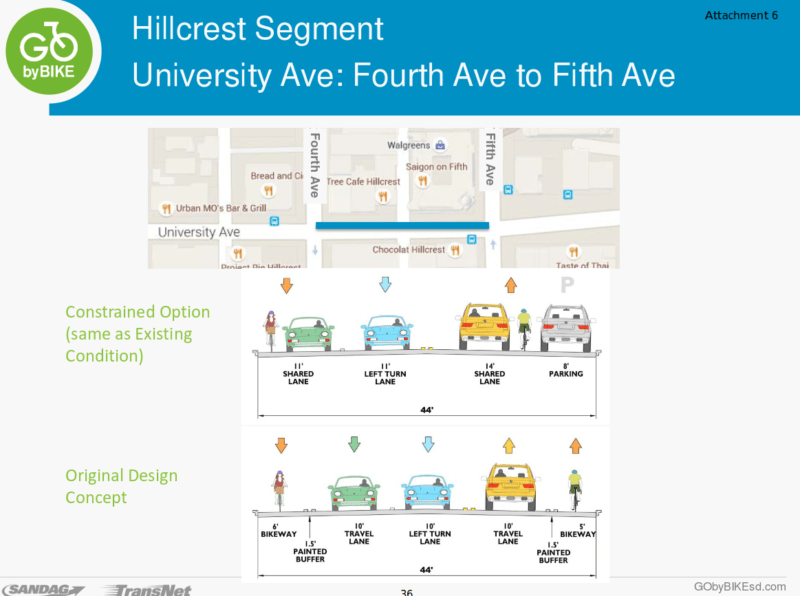 SANDAG staff is recommending that University Avenue be as is with no safe way to commute by bike through Uptown. How to get there: Bike parking is located both in the front of the building and in the parking garage. The venue is also accessible by the trolley and bus. I am a bike commuter and University Ave is horrible on my bike. I want to get rid of the side parking and give me full access to a bike lane rather than be squeezed in between cars! From the inbox: "Having to travel from First Avenue to Normal Street (on University Avenue) by bike scares me to death."